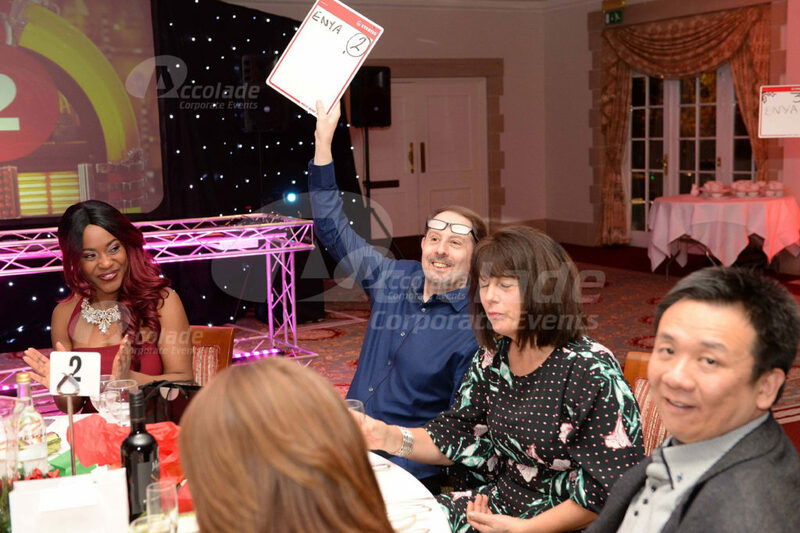 If you mix music and entertainment you are always onto a winner but here we’re mixing it with a healthy dose of team competition and we are confident that it’s going to be a number 1 hit with your guests – Name That Tune Gameshow is music to your ears! 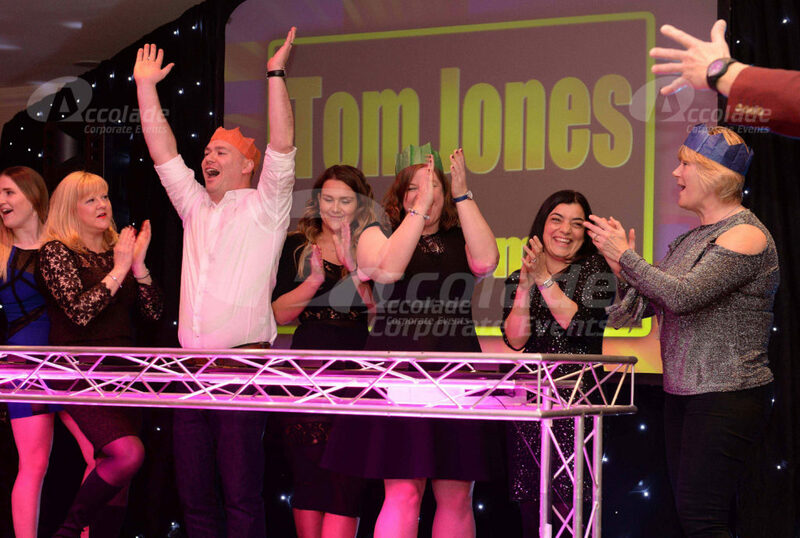 Music quiz shows are hugely popular and our interactive, fast paced and team focused ‘Company Name that Tune’ is no exception. Tonight we take the familiar format and with our usual style we transform it into a fun team game show. 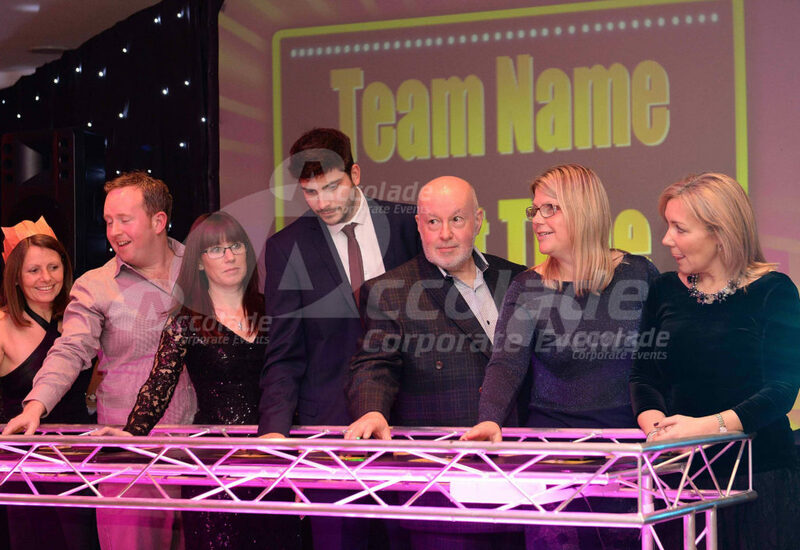 Company Name That Tune is based on the classic 80’s television hit show but with a new focus. 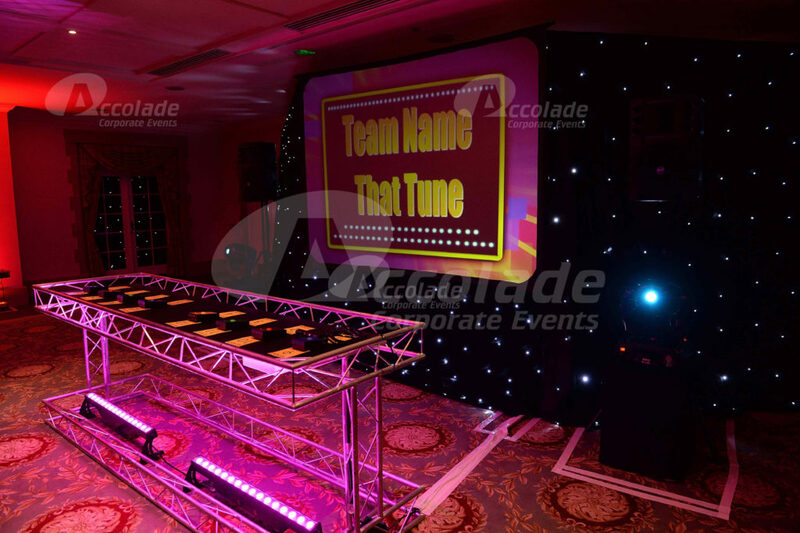 Incorporated into the event are a host of vibrant variations of team based musical activities from the classic show for all the teams to test their musical skill and nerve. 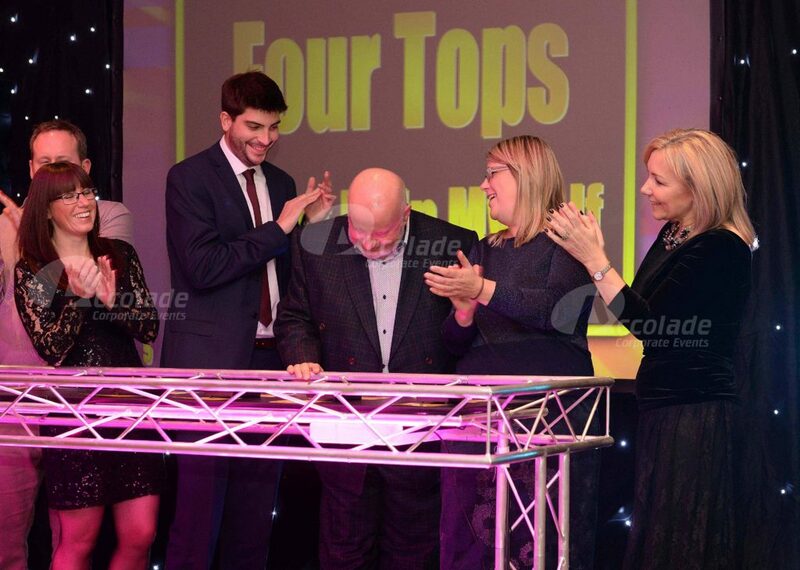 Totally transportable, we bring the screens, the buzzers, the charismatic host and every last thing you’ll need for a great event, to the venue of your choice anywhere in the UK! Our professional host and show assistants motivate the teams from start to finish in this fast moving extravaganza, as each team attempt to gain points in every interactive round. 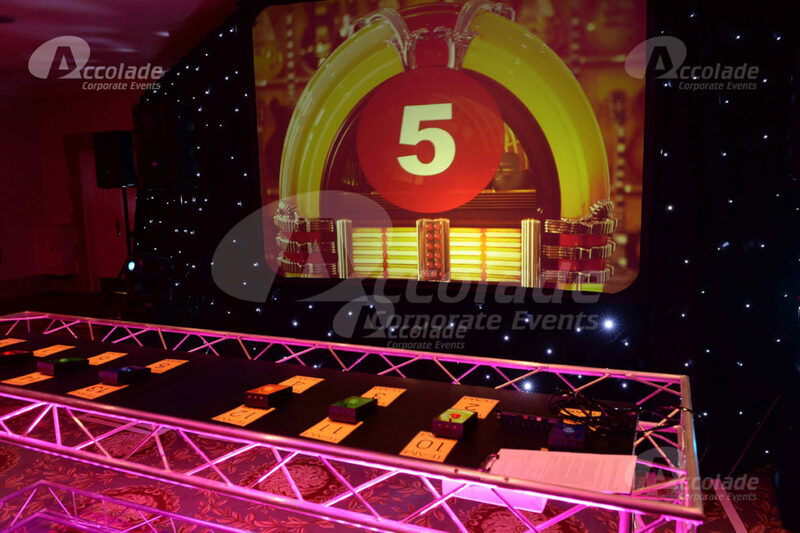 Our unique musical format includes everything to keep your team focused and energised, with music clips, electronic buzzers, game show props to a giant spinning wheel for the famous ‘Medley Roulette’ round. Want some more information on Name That Tune Gameshow? Call our events team on 0800 083 1172 today or why not click on the Quick Contact button to the right of the screen and we will call you straight back to discuss your event. We just know you’re going to love the hot of the press, topical and fun Have We Got News For You show!